The chips and dip are plated, the big screen is fired up and the chili is ready to go. 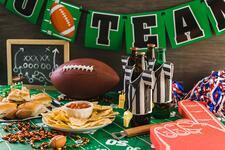 You may think you’re all set for the big game, but are you missing something critical? When it comes to watching the Super Bowl, nine out of 10 viewers will be viewing the game from the comfort of their own homes. While this may seem like the safest place to enjoy the show, hosting a Super Bowl bash comes with its fair share of potential insurance claims. Fired up for tailgating? The Super Bowl is a big cooking day. In fact, it is the most popular grilling day of the winter and one of the top 10 most popular grilling days of the year. Unfortunately, grilling brings potential hazards, causing an average of 8,600 home fires and $75 million in direct property damage each year. The festive atmosphere of the big game can make cooking fires one of the most common party accidents. If you plan on firing up the grill, take proper precautions. If your house is damaged or destroyed, your home insurance’s dwelling coverage should help with repairs or reconstruction. Party guests on the DL? Any party has the potential for injuries. Are you covered if one of your guests ends up on the disabled list? While not every spill or tumble exposes you to insurance liability, make sure your homeowners and renters policies are up-to-date. Your standard insurance policy should include liability coverage which will protect you in case of party-goer injury. Household items intercepted? Your party guest list can easily expand as guests bring a few friends of their own. If you find some items missing during your post-game clean-up, your home insurance can help. Personal property coverage will help to replace stolen items, up to your policy’s limit. Renters insurance often has similar policy provisions. Hors d'oeuvres get red flagged? 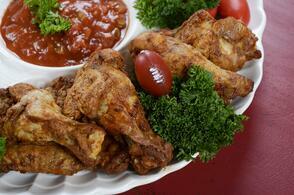 Super Bowl Sunday is the second-largest food consumption day of the year, following Thanksgiving. As the ever-popular chicken wings and finger food sit out during the course of the day, the risk of food-born illnesses increase. As host, you may be liable if your world-famous appetizers trigger food poisoning. You should always follow proper food handling and storage instructions in order to avoid a claim. To be safe, make sure your standard home insurance policy includes medical payments coverage. Partygoers ineligible to drive? Alcohol often plays a big role in Super Bowl fan festivities. In fact, the average blood-alcohol content measured during the big game is 50 percent higher than other nonholiday Sundays. If you plan to serve alcohol at your party, you may be on the hook for what happens when your guests leave to drive home. Currently, 39 states have enacted laws or have case laws that hold hosts who serve liquor liable for any injury or deaths resulting from crashes. Liability insurance might help pay for damage or injuries, but it is not a sure thing. Keep an eye on your guests and take steps to prevent drunk driving, including enlisting designated drivers. 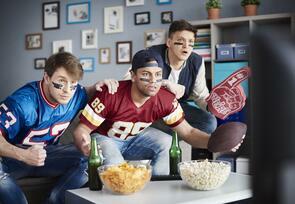 Now that you have everything covered, it’s time to sit back, relax and enjoy the game!